An EgyptAir flight from Cairo to Beijing made an emergency landing in Uzbekistan on Wednesday after a bomb threat that turned out to be a hoax, the airline said. Uzbek authorities checked the Airbus A330 and found no explosives on board, EgyptAir chairman Safwat Musallam told AFP. “The authorities there cleared the plane for departure after they searched the plane and found no threats,” he said. 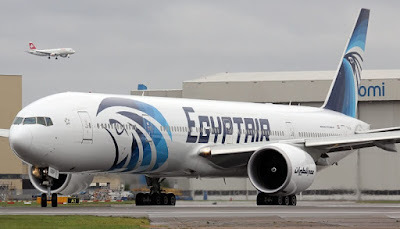 Musallam said an anonymous call was received warning there was a bomb on board after flight MS955 had left Cairo, and it landed at the nearest airport. Uzbek authorities confirmed the plane had made an emergency landing at an airport in Urgench in the west of the country. The flight had left Cairo five minutes before midnight on Tuesday, and the plane was scheduled to land in Beijing at 3.34 pm on Wednesday, according to EgyptAir’s website. It is the latest in a series of incidents involving Egyptian planes or airports. An EgyptAir plane crashed in the Mediterranean with 66 people aboard on May 19 while en route from Paris to Cairo. In October a Russian airliner with 224 people on board was downed by a bomb over Egypt’s Sinai Peninsula after taking off from Sharm el-Sheikh, in an attack claimed by the Islamic State group.